Hello, and welcome! 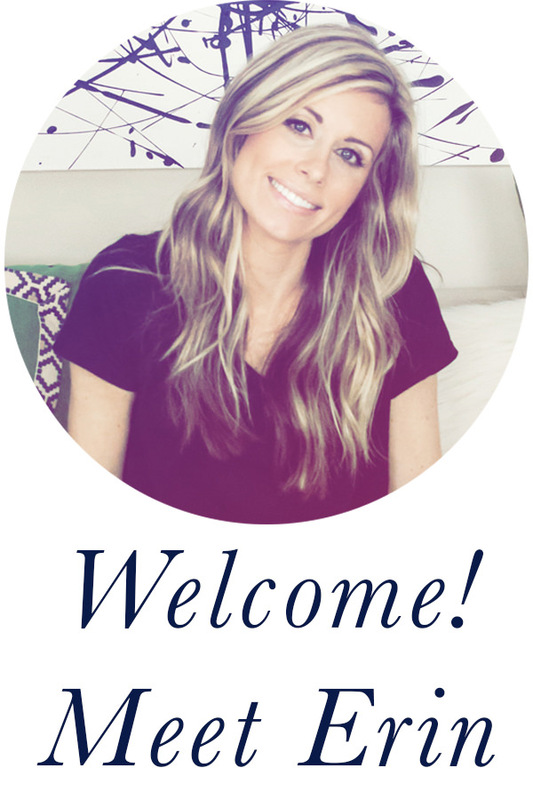 If you’re joining me from The Turquoise Home, my name is Erin and I blog about all things home decor, DIY, and travel. 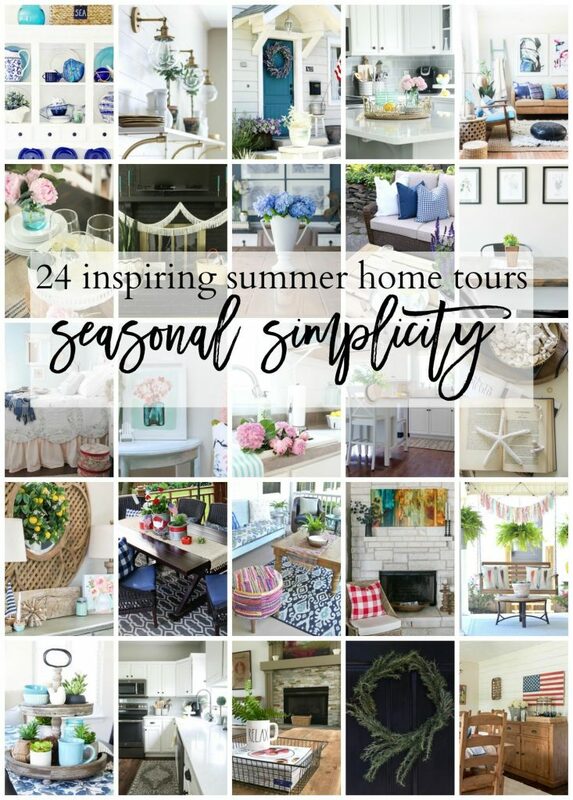 This week I’m teaming up with some blogging friends to bring you a “Seasonal Simplicity Home Tour.” (You can check out our spring tour here if you missed it.) The full lineup is at the bottom of this post. Big thanks to House by Hoff and the The Happy Housie for organizing this fun little tour. 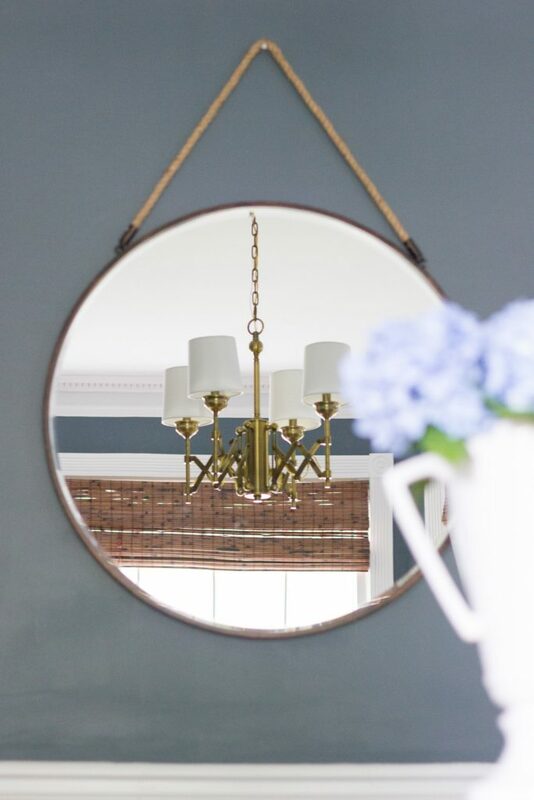 This time around, I opted to focus on our dining room and give it a summer refresh. 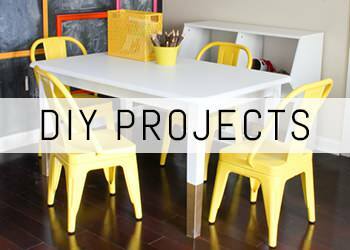 A few months ago, I shared the dining table and benches I built. 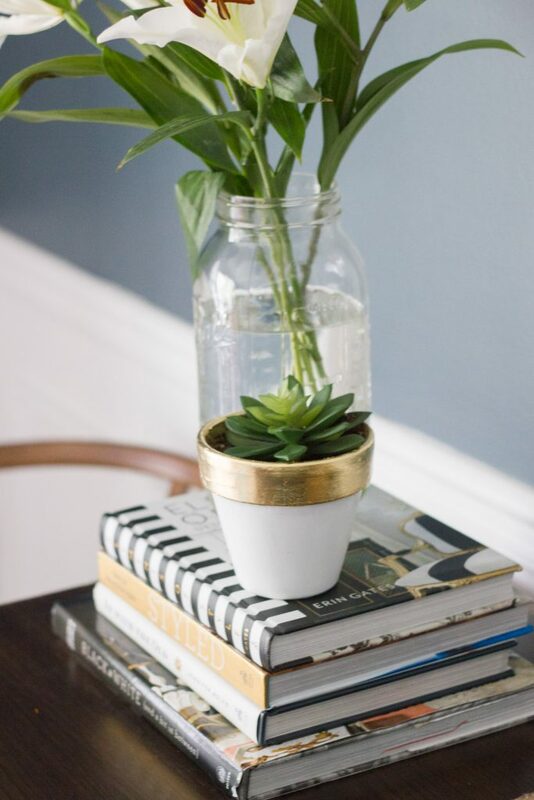 (Tutorial here.) I decided to swap out the end chairs with these. I’m happy to say the hydrangeas are from our yard. Our hydrangea bushes haven’t bloomed much at all for the last two years because I’m horrible at taking care of any type of plant life. But this year it decided to come back to life! You can find info on the rug here. The wall color is “Nocturnal Gray” by Benjamin Moore. You can find info on the map wall art here. The next stop on the tour is Place of My Taste. 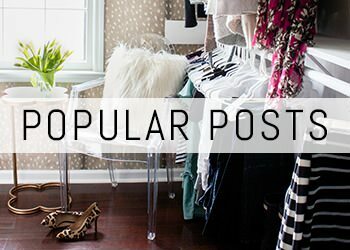 Be sure to visit the rest of the blog hop tours below too! 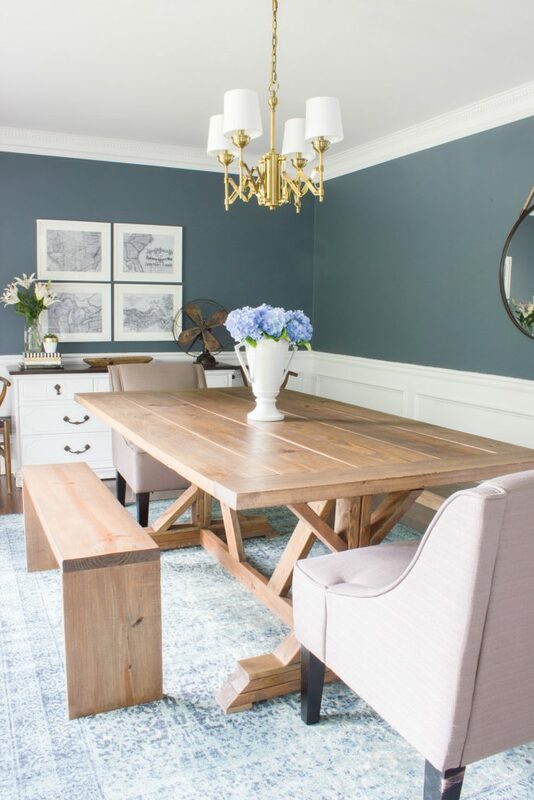 The Happy Housie / Tidy Mom / Simplicity in the South / at HOME with the barkers / Sincerely, Sara D.
your dining room looks so pretty- love the color of the hydrangeas paired with your space! Very pretty and fresh! 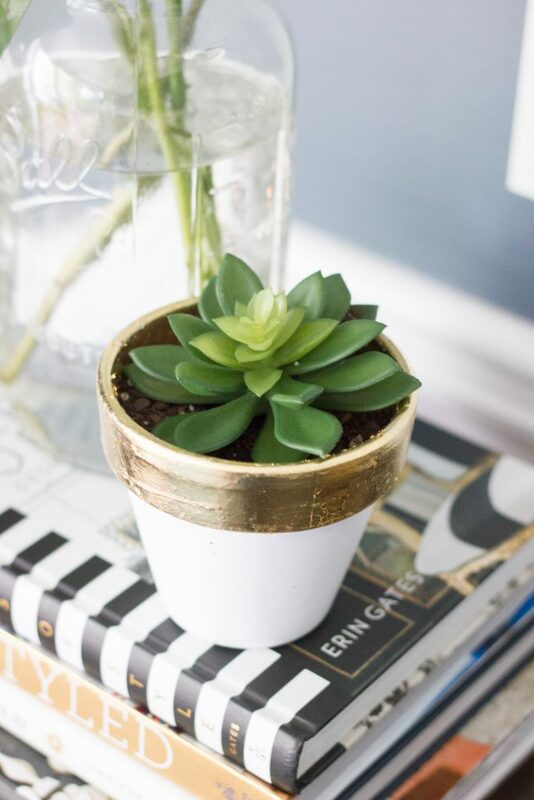 I love that sweet little gold leaf clay pot – adorable. 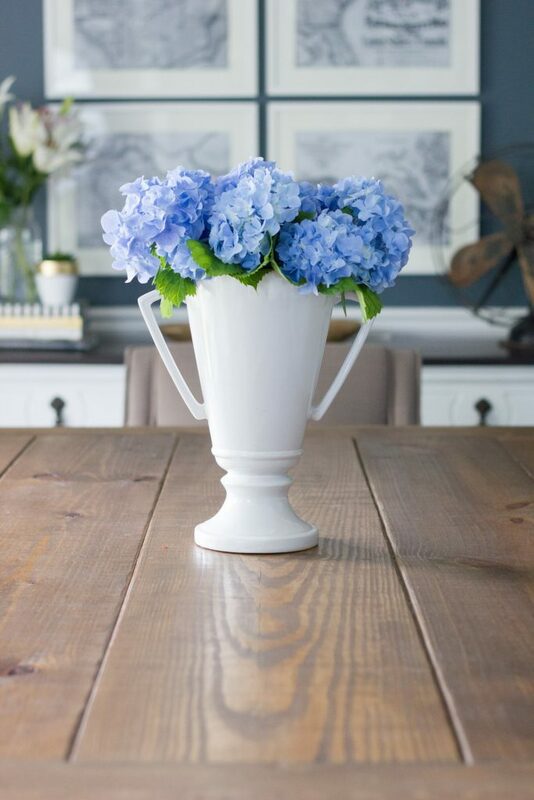 And hydrangeas are always a classic way to make a space feel like summer! So gorgeous! 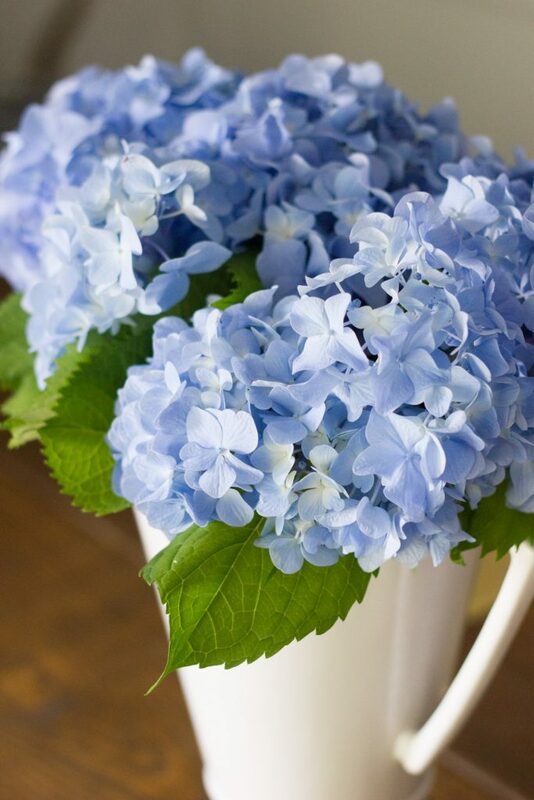 I love hydrangeas in the summer! 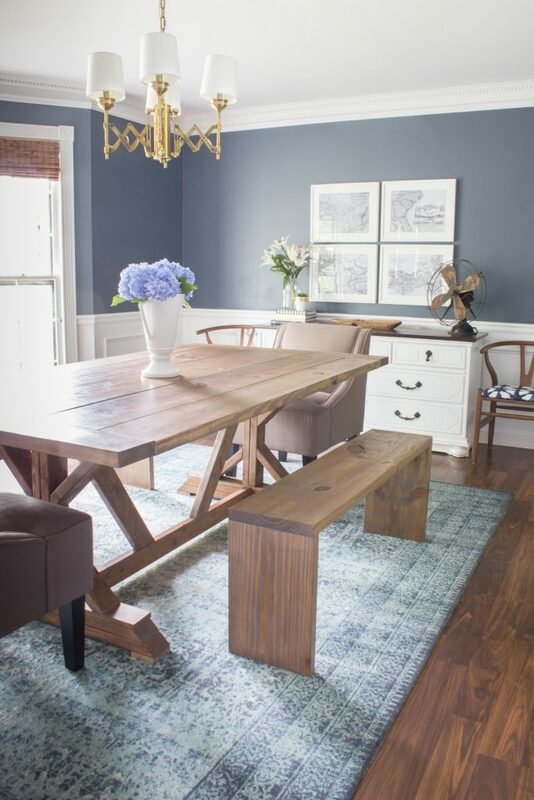 Love the wall color in your dining room, Erin. It really sets off the entire room. So pretty!